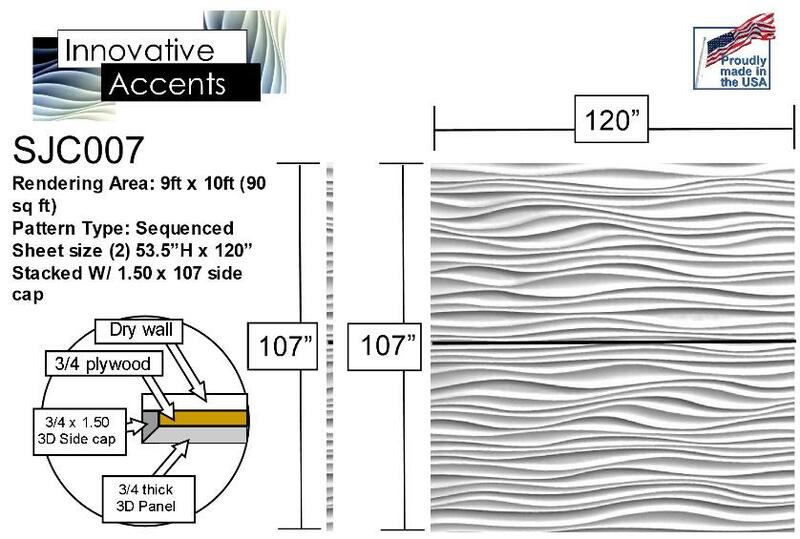 Whats the difference between Innovative Accents and other similar product? 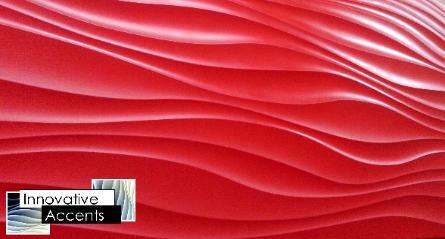 There are many things to consider when looking for 3D Sculpted Paneling. 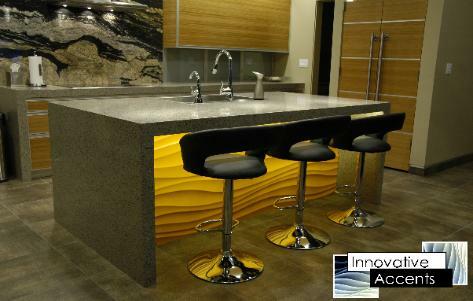 Style, design, cost are foremost on the minds of most clients. 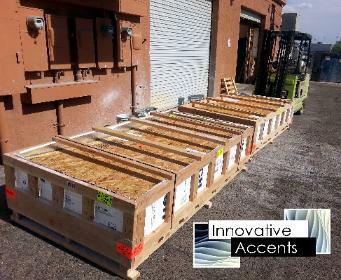 A commonly over looked part of the process is the actual installation. 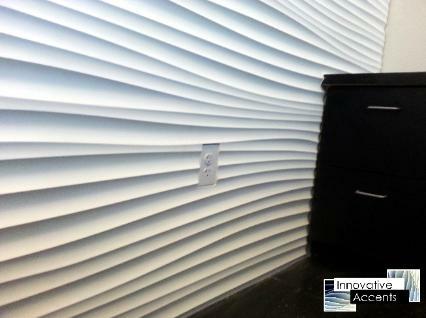 Innovative Accents decorative panels are designed for rapid installation and finishing. Using common wood working tools and techniques. 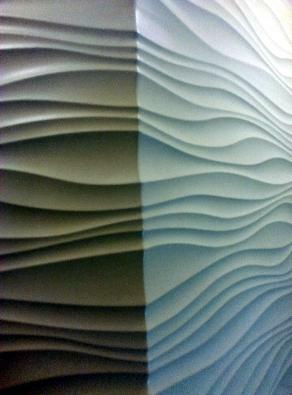 sculpted 3d decorative panels vs. similar products from other manufactures. 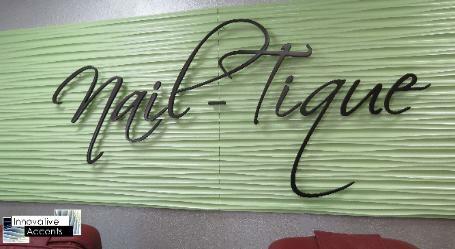 Less seams, less work, less time, less cost to install. 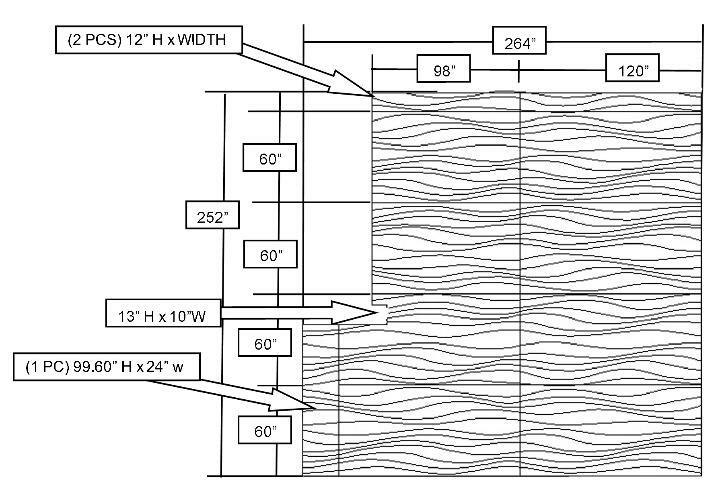 Another problem with small panel sizes is "pattern repeat". 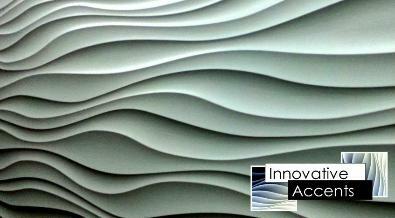 Innovative Accents large scale wave wall panels visually defuse repetitive patterns. 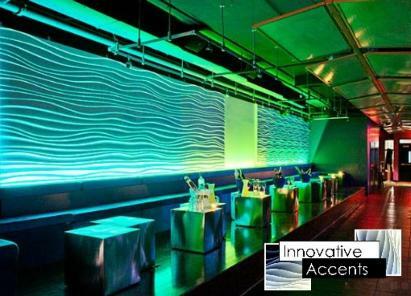 Innovative Accents uses high grade micro refined MDF. 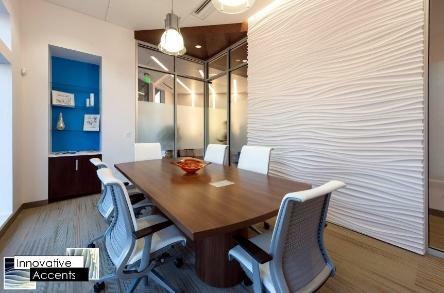 Are these textured panels supplied painted? 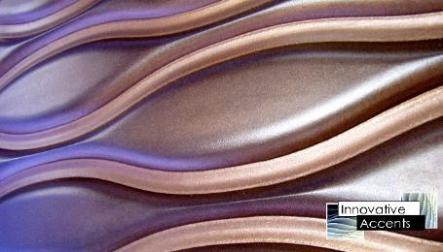 can be finished with all forms of paint or finish processes. (any color / any supplier) with an Integrated Suspension System. Which consist of a template and cleat assembly. 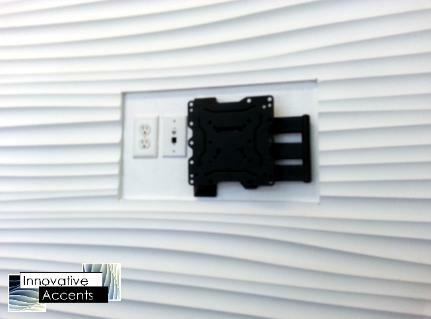 Can Innovative Accents panels be cut for receptacles and TV mounts? 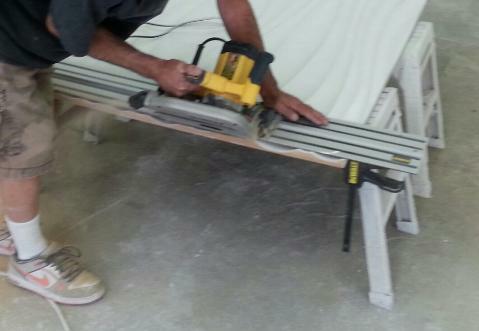 Panels can be cut and machined with common wood working tools and processes. 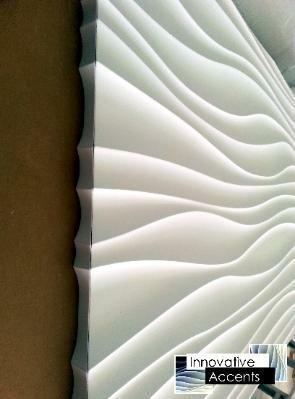 Can panel corners be cut to "wrap" around the edge or side? 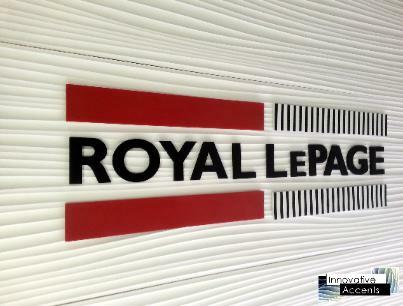 Does Innovative Accents make the signs shown on the website? 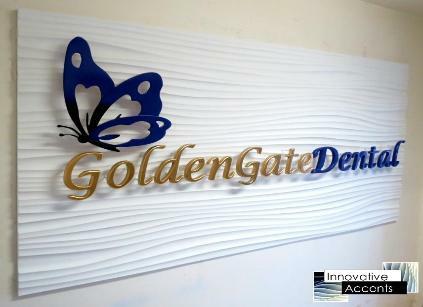 Yes , Innovative Accents does manufacture signage and logos. 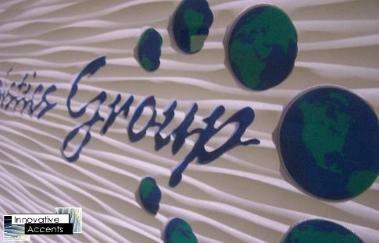 Most signs use "stand off" pins which are incorporated into the panel design. Others are cut into the panel surface and processed that way. 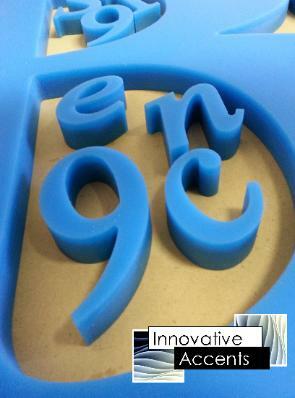 Does Innovative Accents do "Thermo-foil" or other heat transfer finishes? No. 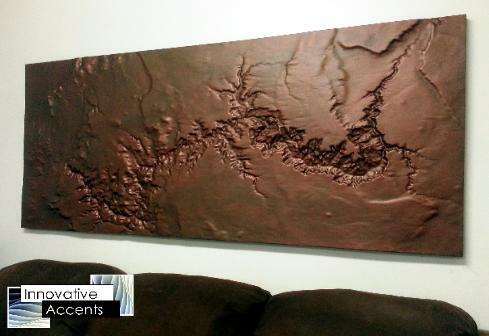 We can "sub" it out, but do not recommend Thermo-film finishes for 3d wall panels. The main reason we prefer not to use film finishes is damage. It's just a fact of life that "Things happen". 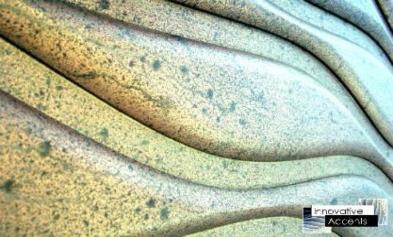 With a film surface finish when there is damage you will have to remove and replace the panel. 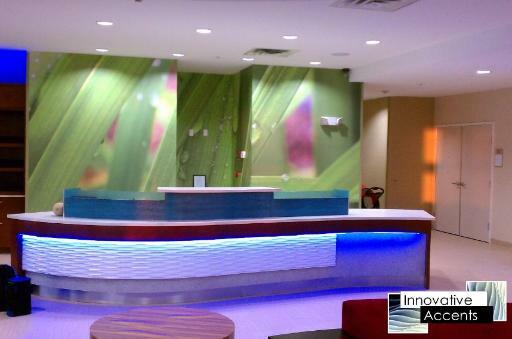 There is no on-site repair for Thermo-films that look as good as from the factory. 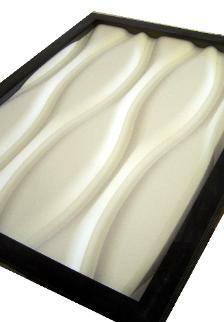 So your stuck with a shoddy repair or the expense of the removal and replacement of that panel. 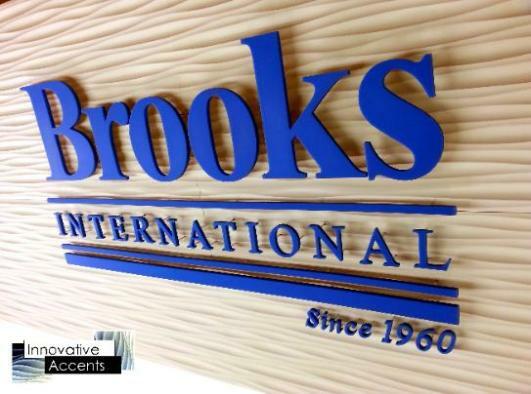 With Innovative Accents a repair is simple, fast and straight forward. 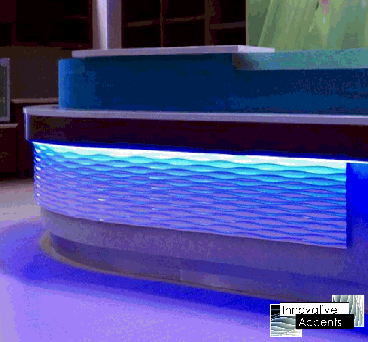 Fill it, sand it, paint it. 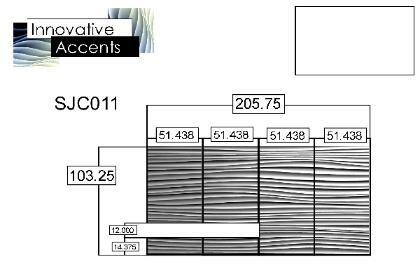 What sheet sizes are available and how does this fit for my project? 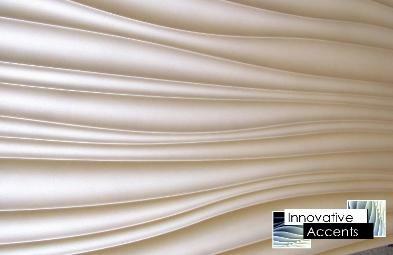 Standard sheet sizes are 4ft x 8ft and 5ft x 10ft. So what if your project is "odd sized".It's not like every project can fit the "standard size". Or maybe you want the panels "cut to fit". 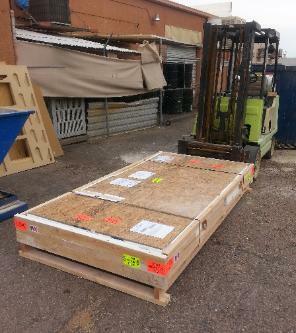 Saving you the hassle of cutting on-site. 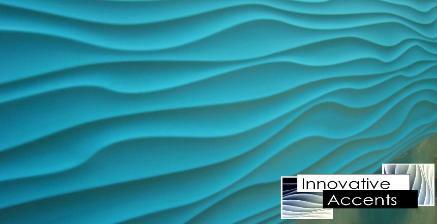 Minimizing the seams, installation time and effort. 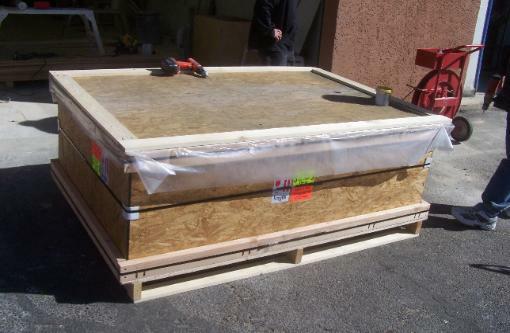 How are the 3d wall panels packaged and crated? 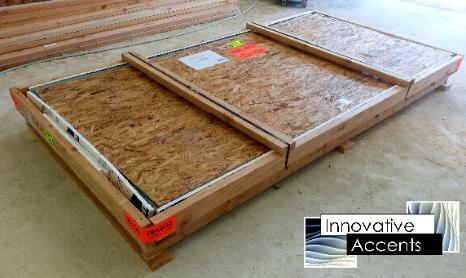 All panels are packaged and crated with corner guards and foam. call us immediately. 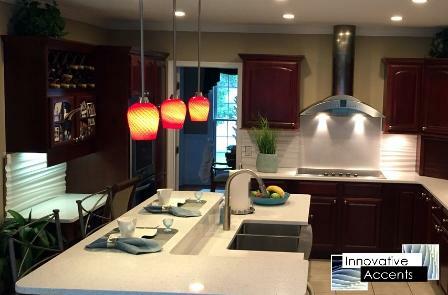 Most occasions the repair can be made during the installation. 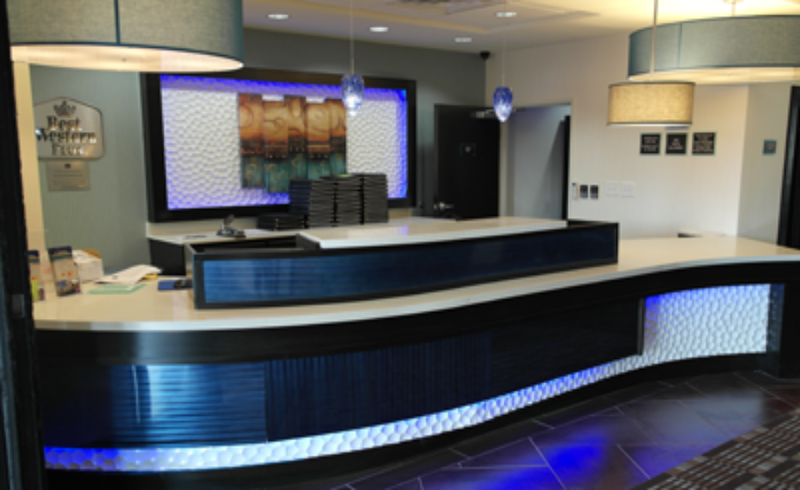 All damage claims are dealt with on a case by case basis. And from time to time that means sending replacements, at no charge. 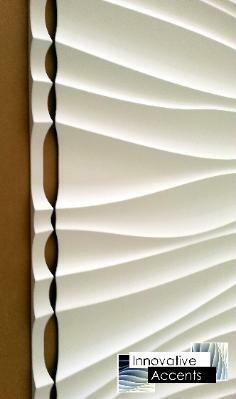 Can sculpted wall panels be installed on a curved surface? Yes, on a proper substrate. 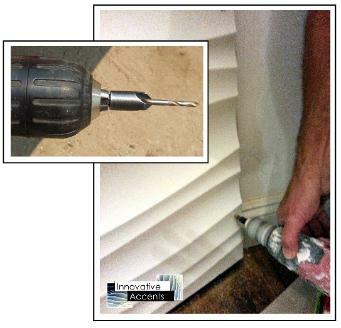 With studs or plywood to mechanically fasten using screws or nails. I like the pattern but it looks too small for my project? 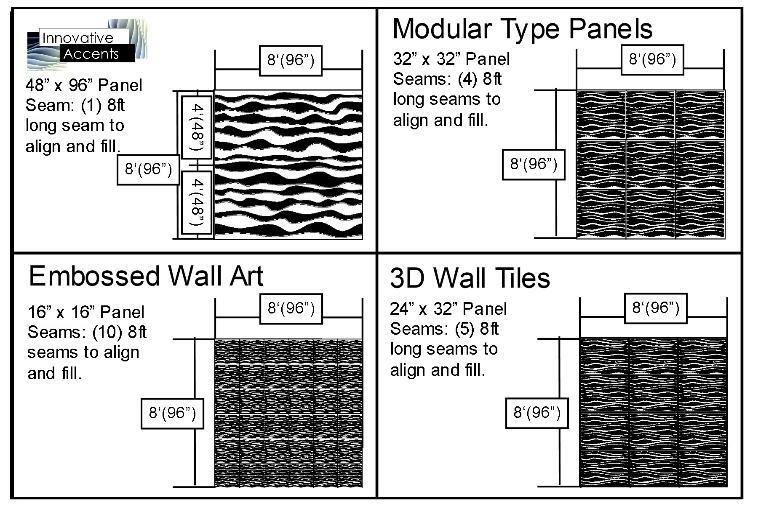 Being the designer and manufacturer of our product we can "sequence"
the panels to your project area but also scale and size of most patterns as desired. 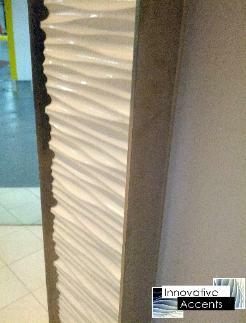 So, how much does Innovative Accents decorative panels cost? That depends on the project requirements. 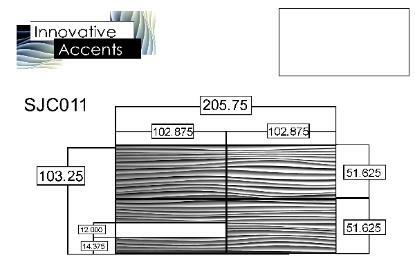 The base price for ANY pattern in our Innovative Accents catalog is $10 per sq ft.
4ft x 8ft (32 sq ft) ($320) and 5ft x 10ft (50 sq ft) ($500) per sheet. 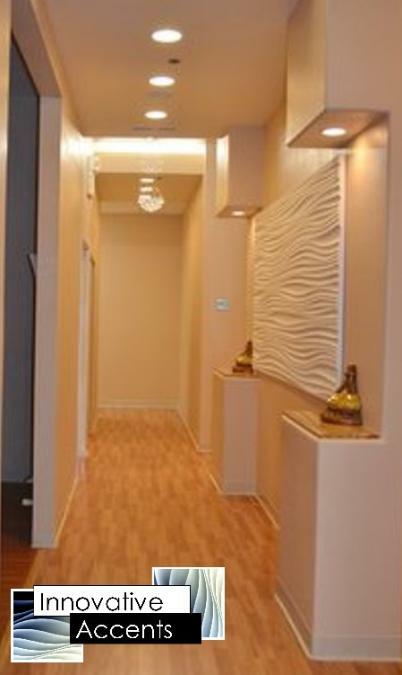 Can I get renderings to consider my options? 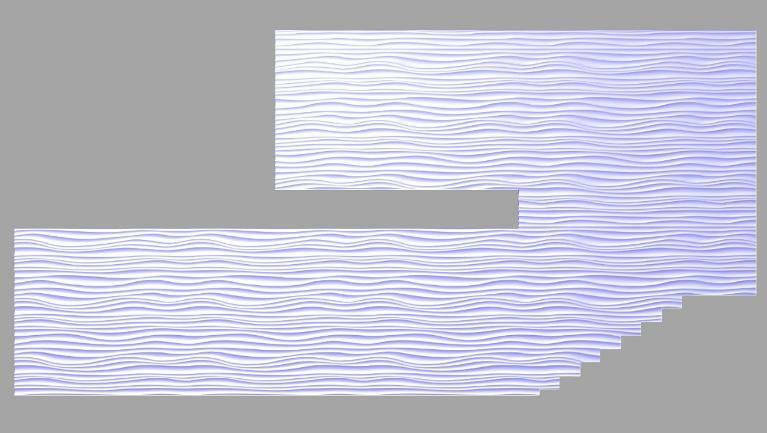 of interest, direction of pattern flow (horizontal ,vertical or diagonal) in your correspondence.